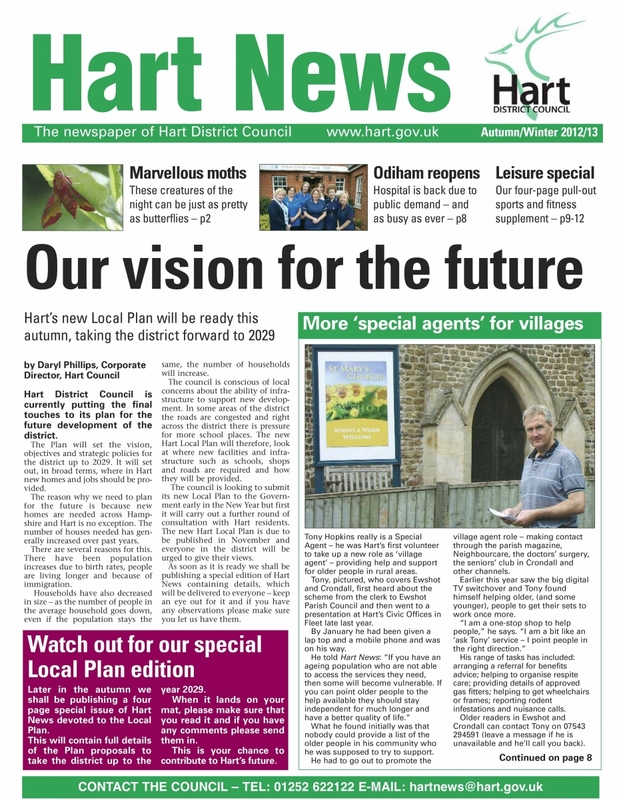 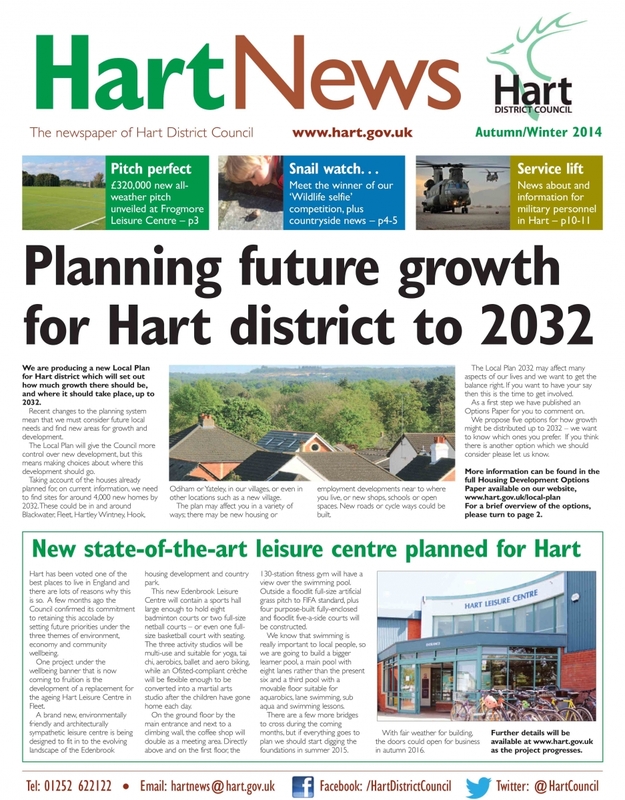 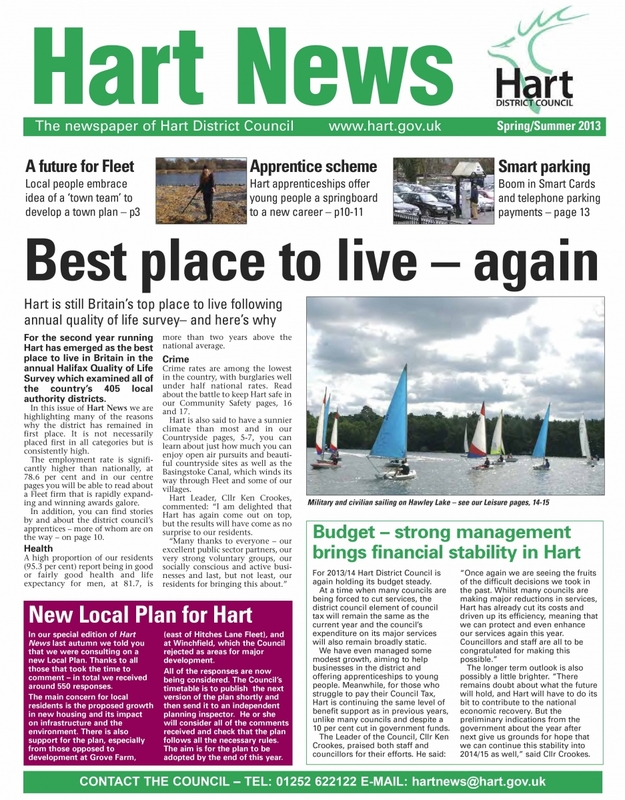 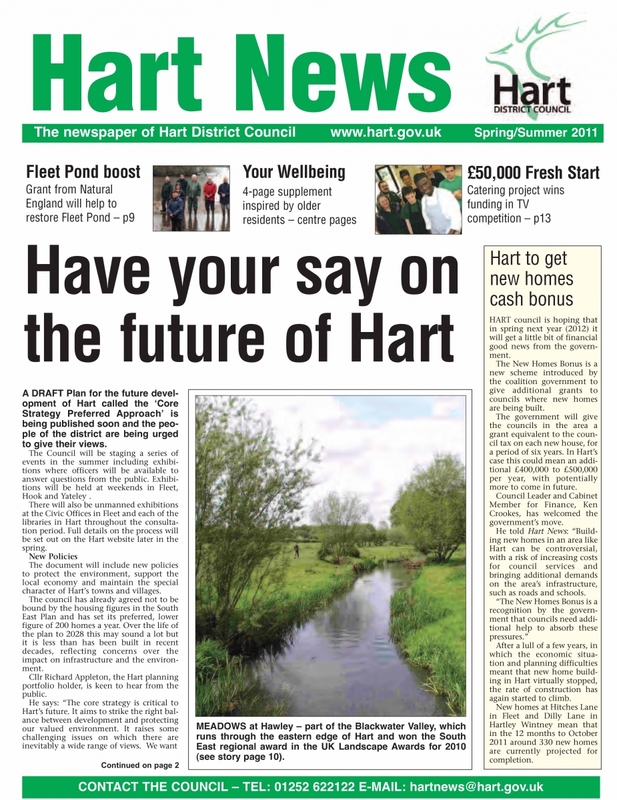 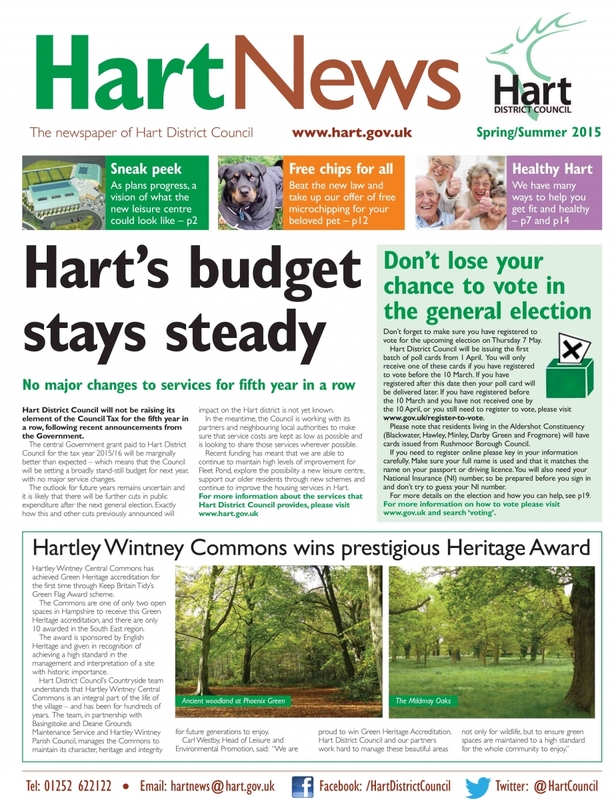 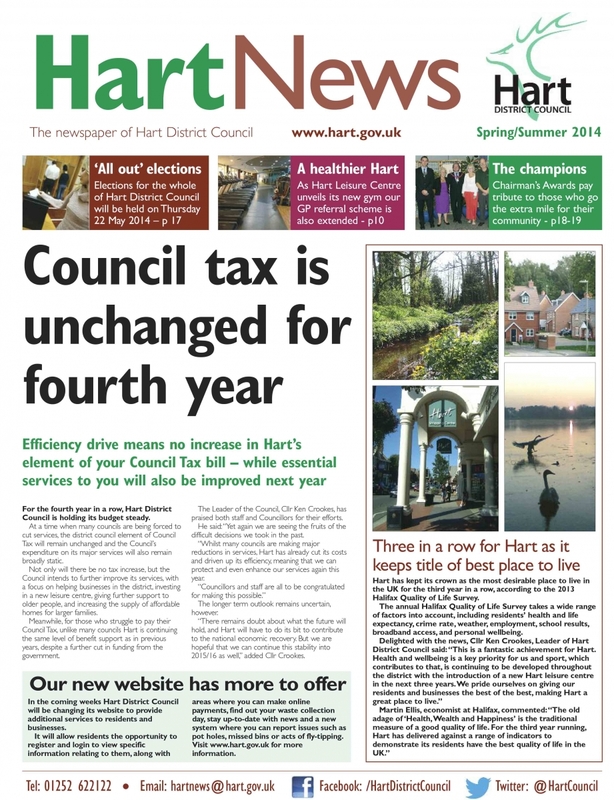 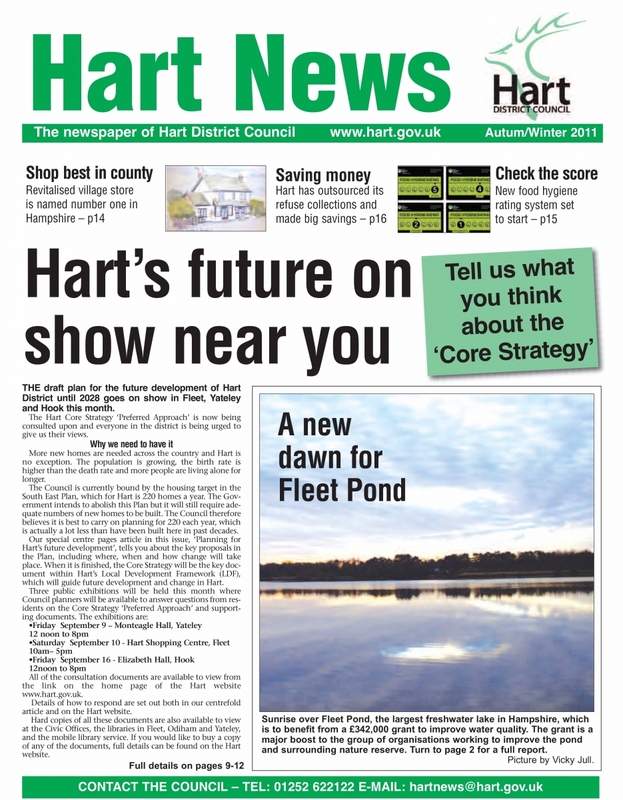 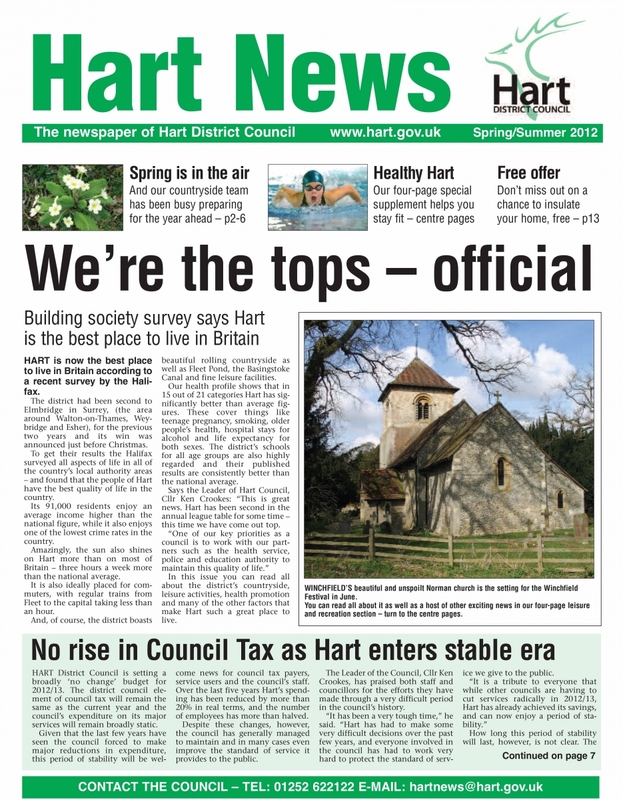 We publish our Hart News publication twice a year - in the spring/summer and autumn/winter - and deliver it to all households in the Hart District. 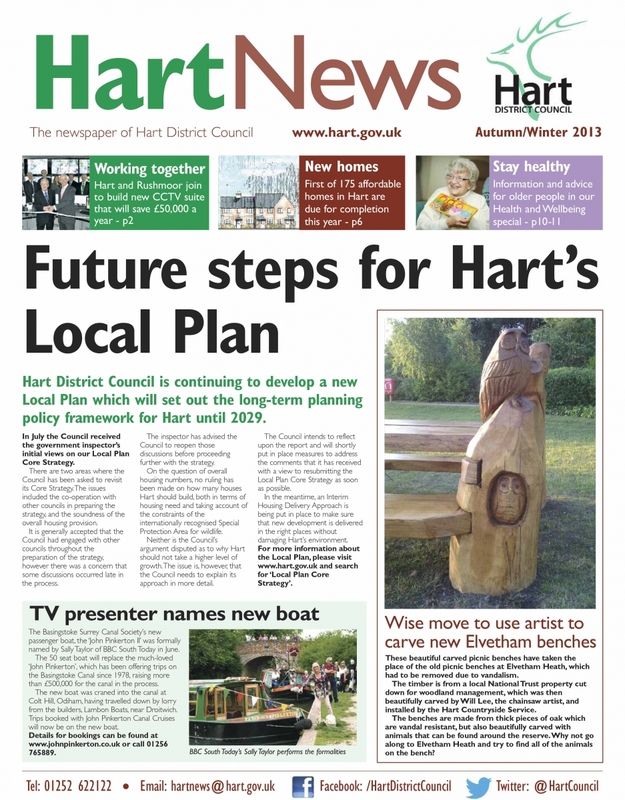 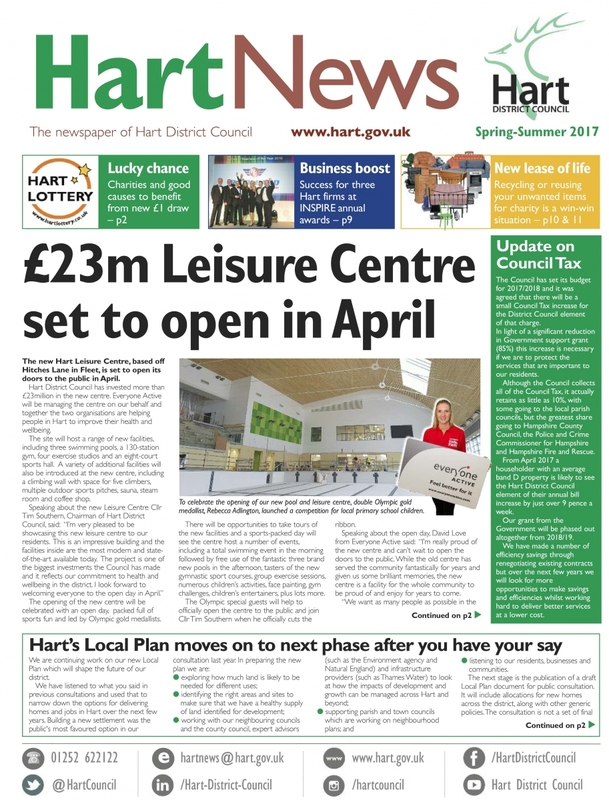 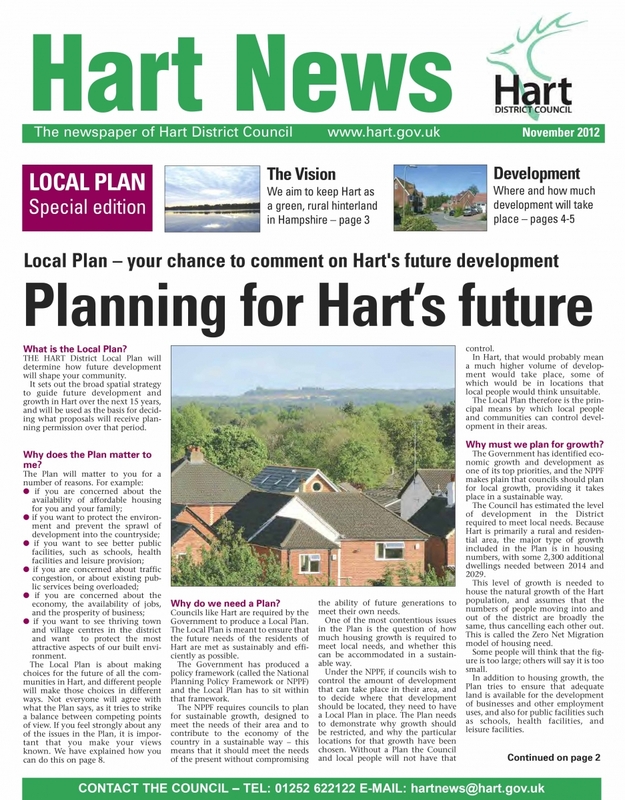 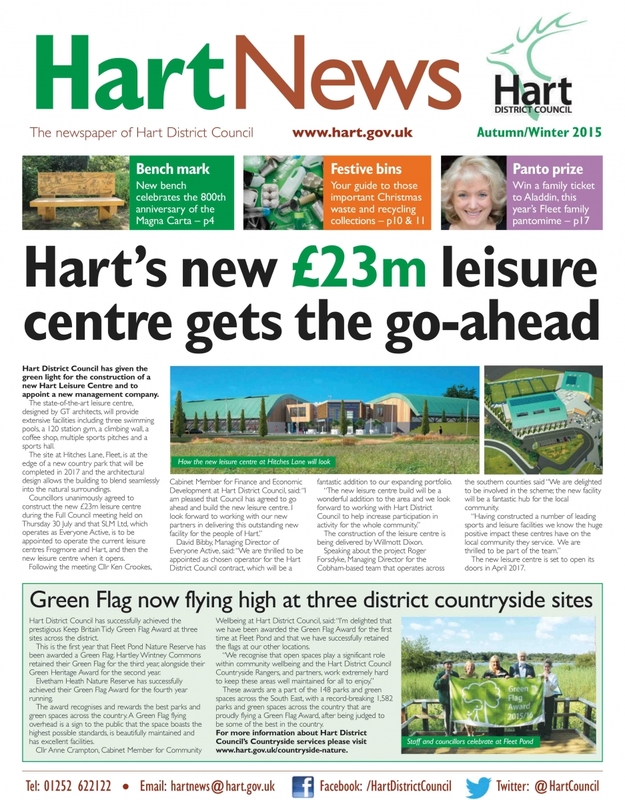 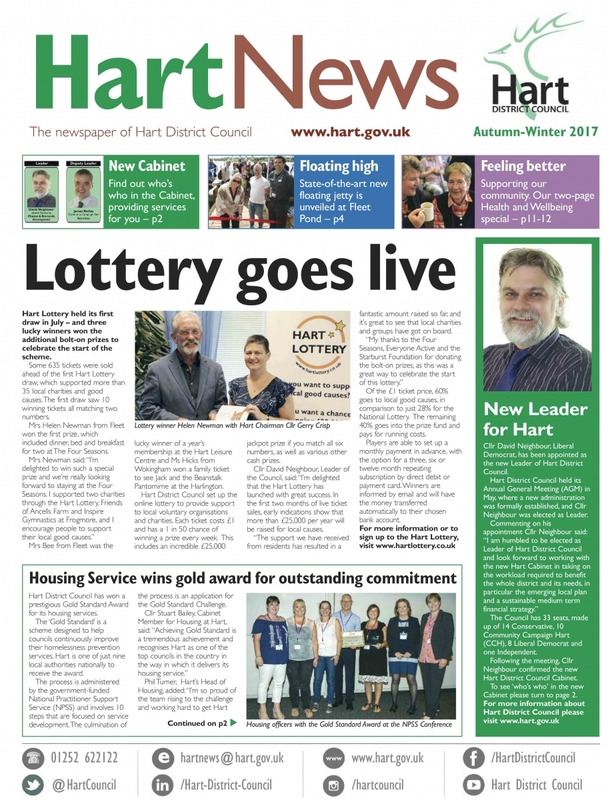 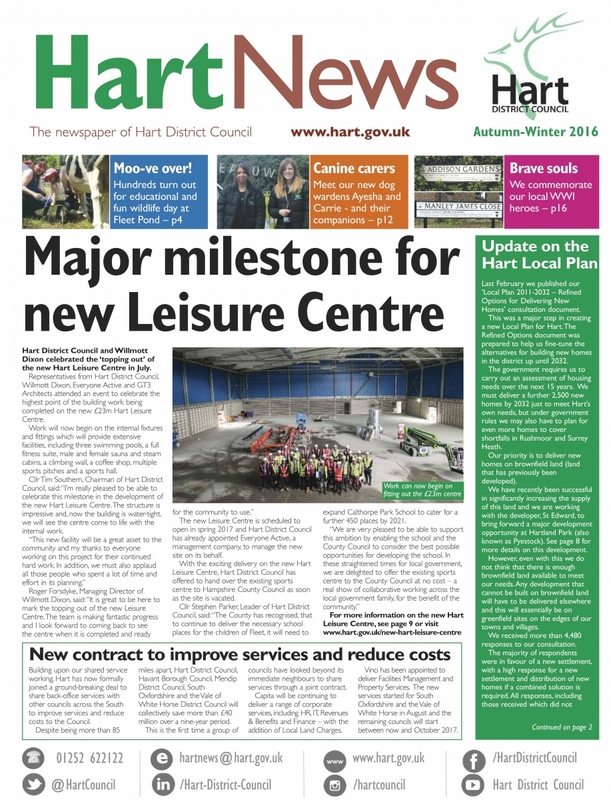 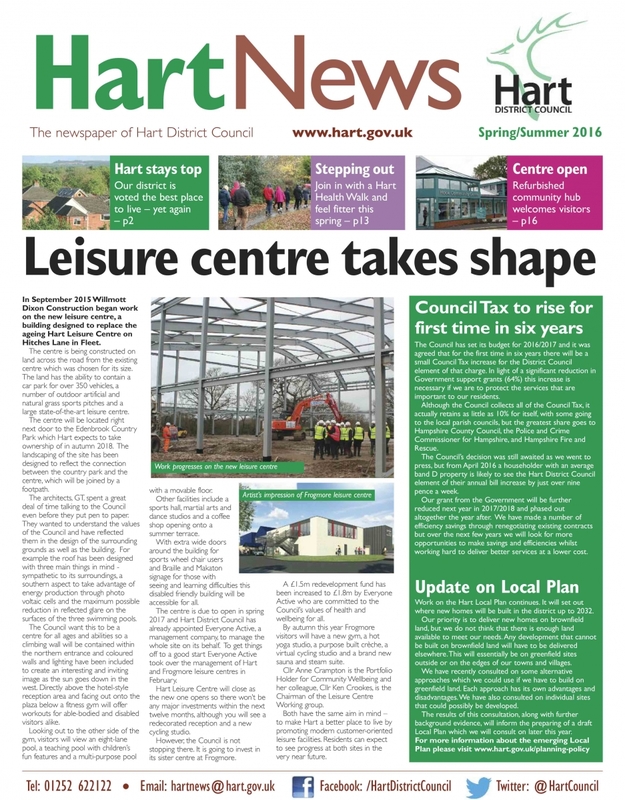 We use Hart News to tell residents about the services we provide, local activities and events found throughout the district. 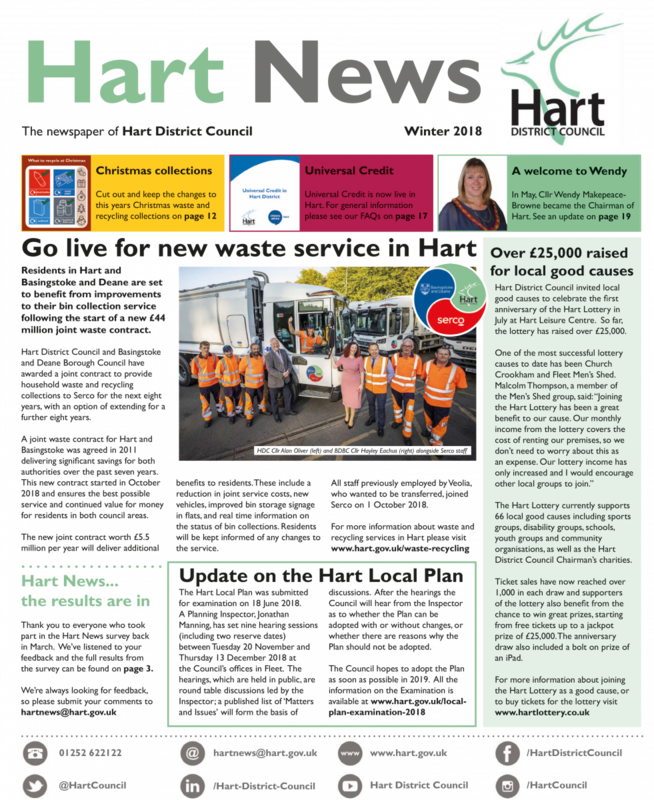 You will also find information in Hart News about some of the things our partners, such as the police and local housing associations, are doing. 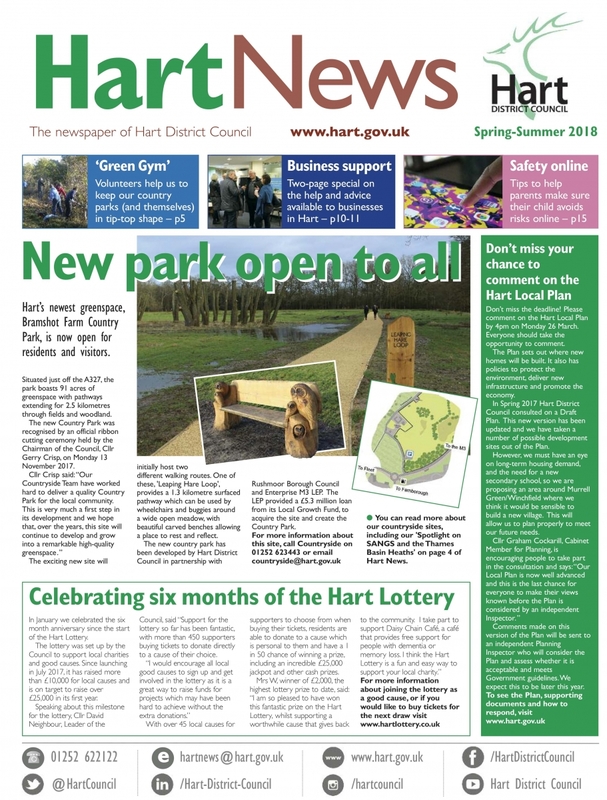 We offer limited advertising space for local businesses and organisations, if you would like more information please email hartnews@hart.gov.uk or download our media pack.